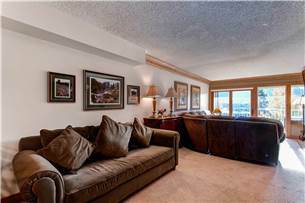 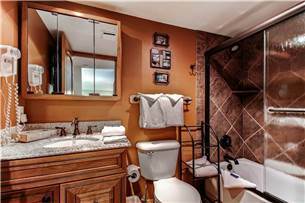 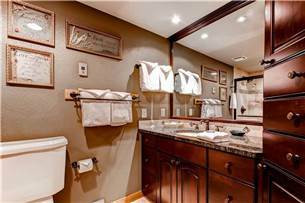 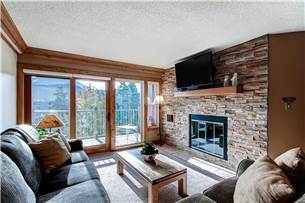 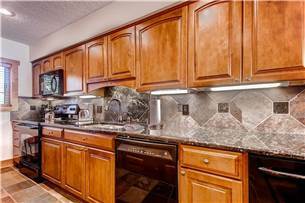 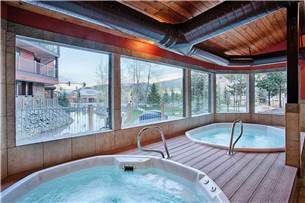 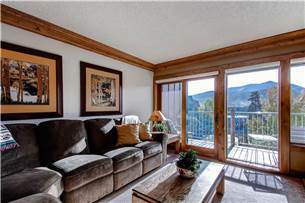 Stunning views - 2 bd condo 20 yards from ski run and 2 minute walk to Main St! 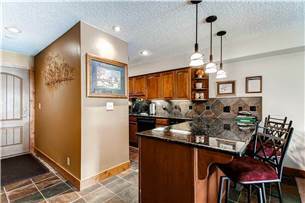 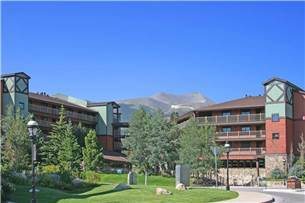 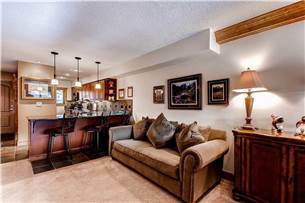 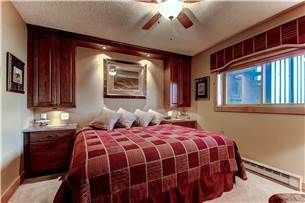 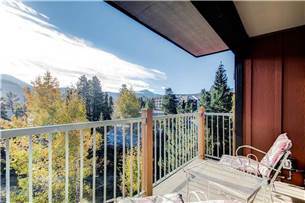 This fantastic third floor Breckenridge condo gives you a great view of town with a mountain backdrop. 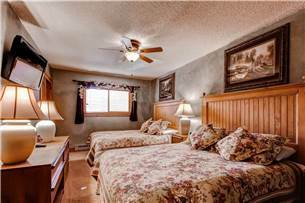 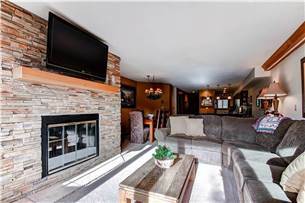 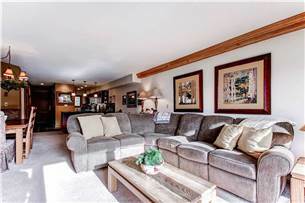 Recently renovated and stocked with a new large flat screen TV, this two bedroom unit gives you the pleasures of watching your favorite movie while relaxing by the fire. 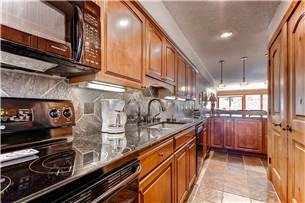 The new furnishings continue with the brand new appliances, granite counter tops and bathrooms. 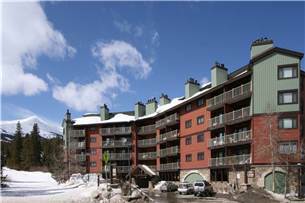 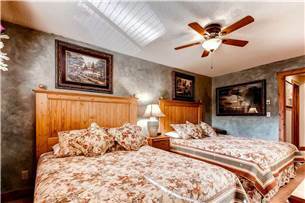 Enjoy being 20 yards from the bottom of the Four O'clock ski run, and just a block to historic Main Street. 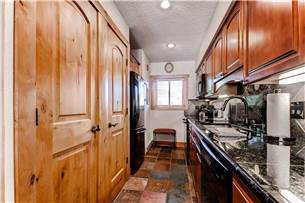 This location is convenient and easy to get around. 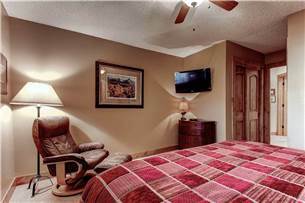 Each unit has free Wi-Fi, washer and dryer, a covered parking space, as well as access to the complex's two indoor hot tubs and shared grills on the outdoor patio.